← Victoria exits, walking with the pursed self-conscious walk of an actor who has too small a part and so has practised a single move to excess. Fantastic review. Have you seen this book, which recently came out, and seems to complement Capitalist Realism rather nicely – http://northmelbournebooks.blogspot.in/2014/06/what-about-me-struggle-for-identity-in.html? Thanks. I wasn’t aware of it. You’re right, it seems spot on to Mark Fisher’s analysis in terms of effects on mental illness. Max, I highly recommend Crary’s 24/7, which reads well alongside Fisher’s book. For what its worth, I agree with your review. I’d only question one element, the mental health question. I think you have also to consider how urgently the pharma-medical establishment pathologise categories of mental illness to flog endless iterations of drugs, demonstrated in America’s recent history to do more damage than good (if any beyond a placebo effect.) Having said that, I think that the undeniable increase in anxiety and depression since the 1990s can be linked to consequences of neoliberalism and the pernicious impact of 24/7 culture, which Crary argues well. Thanks Anthony. I don’t know that book so I’ll look it out. I think your point on the financial incentives to pathologise behaviours is a stronger one, and one I agree with. We’ve seen the rise of Aspergers, attention deficit disorder and other illnesses which arguably include behaviours within the normal human spectrum. I think there’s actually a real risk of medicalising being socially inept or being a child (I don’t say these can’t also be real things in some cases, though Aspergers has now been redefined to be part of the autism spectrum which seems to me much more sensible and which should avoid pulling in some of those who are simply not particularly socially adept). There’s a strong point to be made in terms of how the precariat (a neologism I rather like) are put under huge stress through having to work long hours for low wages with little job security. It would be bizarre if that didn’t lead to greater anxiety and depression. A fascinating post, Max – plenty of food for thought here. I feel very uneasy about the shift towards monetising the arts you mention in your review; it’s something I’ve noticed in UK political policy in recent years, and Fisher’s thinking and your comments on this point certainly chime with me. Also, (perhaps somewhat ironically) as someone who spends some of her days running focus groups and conducting consumer research, I agree with Fisher’s points on the failings of this approach for exactly the reasons he states. Unearthing unmet needs and hidden desires remains a constant challenge, and sometimes it pays to take a calculated (or more out-there) risk with innovative stuff. How do we get that thinking into our political system though, that’s a good question when every policy from the main parties is focus-grouped to the hilt. I doubt whether I’ve added anything to the debate, but I’m interested in Fisher’s thinking. Thanks for the review. Beautifully written, thought-provoking piece. I like your distinction between the reviewer and the critic. There has to be a certain sense of appraisal and evaluation of the text under discussion, but it’s surely one of the benefits of blogging that one can open a dialogue with other readers, non-paternalistically, equitably. I was particularly disappointed with Labour on that front. It felt to me that they really didn’t get culture other than in the context of revenue-generating creative industries, which as historically the party of the arts I thought was a real failing on their part. There seemed under the last government no sense that the arts might have merit in their own right. I don’t think the current government is any better on that front, but I didn’t expect them to be. Labour though I did hope for better from. That of course ties to the disengagement I mentioned – the arts are only one small policy area but if in the areas you care about both parties offer effectively the same policies it’s hard to be fired up. If I wanted to vote Tory, I’d vote Tory. Possibly a little political for a book blog that comment, but it is a political book. I don’t think there’s anything wrong with consumer research and focus groups (and plenty right). They’re tools though. There’s nothing wrong with hammers, or legal advisers, but they’re tools too. Where problems arise is where an aid to taking a decision becomes a substitute for taking it. If you’re trying to make a crowd-pleasing summer blockbuster (to take an example) focus-grouping your ending may make a great deal of sense. If you’re trying to make an arthouse movie about the consequences of infidelity within a marriage, probably not so much. Taking that to politics, understanding how the public are likely to react to a policy is valuable information, but it needs to be part of what feeds into a decision, not determinative of the decision. I’ve no love for Margaret Thatcher, but she understood that sometimes you had to be unpopular to achieve what you want. I think she led us in utterly the wrong direction, but whether you agree with that or not quite clearly she was actually leading rather than following opinion. I think having the debate is adding to it, pretty much by definition. I suspect that’s what Fisher is trying to achieve, sparking debate because that in itself raises awareness of the issues. Tredynas, thanks. Part of my point re reviewer and critic was in relation to assumptions about the audience. I think to effectively act as a critic you have to assume instead a common familiarity with the material being criticised, whereas a reviewer has to assume the reader lacks familiarity with it. Blogging sort of straddles the two of course because you have space to say more than in say a newspaper review, and because as you rightly say a blog is the opening of a conversation as opposed to a broadcast of one person’s opinion. I agree that politicians have taken as an assumption that the current form of capitalism is the only valid one. After that, they become a management team, as you rightly put it and they take care of budget and forecast and do micro-management instead of having a vision. Yes, managerialism is I think a real issue in politics, and for me a very dangerous one. Your point on art in France I think illustrates a key point – we may be told that there is no alternative but it’s blatantly untrue, because the assumptions of Anglo-American capitalism aren’t universal. France has a different approach to art, Germany I understand to worker relations, Chile to public ownership of strategic assets. There may be problems with all of these approaches, but they exist. I do think France has in some ways a healthier approach to the arts. I don’t claim it’s perfect by any means, but I think in the UK the idea that promoting art isn’t like promoting peas isn’t necessarily a given. Just curious. If Thatcher led us in utterly the wrong direction and helped create the neoliberal consensus, what would have been the right direction? And as we have to operate within a global economy, would the wrong direction always have been unavoidable? Not being very economics-minded, I would still agree that there probably isn’t a solution and that we have collectively wound ourselves up in sheets of iron on this one. If unrestrained capitalism is so problematic (and it is), what workable alternatives are there? We’ve tried a few. They weren’t so great. What do you want, Max? C’mon. Fix the world. Well, there’s a limit to how much I want to turn the thread into a political debate, but I don’t think there is simply one right direction (or one wrong one). I’d note though that capitalism has taken different paths in much of continental Europe, France and Germany for example have a different model to the UK and US and there’s a very different one again in Scandinavia (with its own problems, none are problem free). Chile as noted above has taken a different approach, China a different one again. I’m not saying we should be China or Chile, or could be for that matter, but the point is that alternatives actually abound some of which are essentially tweaks on our current model and some of which are very different. Part of my issue with Thatcher is that she divided the country in ways that have never fully healed. Without her I doubt we’d now be looking at a real possibility of Scottish independence for example (though I think the no vote will win on that one). Similarly we might have been better able to manage the decline of our manufacturing base so that prosperity was spread more evenly between the North and South. We didn’t have to focus on financial services and property above all else, that was a political and economic choice. We didn’t have to blow north sea oil on a consumer boom, that too was a political and economic choice and one Norway for example didn’t make. More to the point, we now have thirty years of real world evidence on trickle down theory and it has flatly failed everywhere it’s been tried. Trickle down remains part of the consensus, but it’s about as credible as astrology. Basically I don’t think the choices are neoliberalism or communism (which I personally view as discredited given how it worked out in practice). Many countries have restrained capitalism, most even, but not so much in the English speaking world. Many have some form of restrained socialism. The key generally appears to be a degree of balancing of forces, of interests, which is what I was getting at with the synthesis point in the review. When one side of the argument effectively wins the argument the result tends to be ugly, on the right leading to massive inequality and appalling conditions for a great many people and on the left unfortunately often leading to an awful lot of people being killed. Any answer therefore has to be messy, has to involve compromise, because when we don’t compromise we end up getting something terrible or utterly dysfunctional. All this is way beyond book reviews though. I completely agree with you on Labour (and the Tories) and the arts — the lack of feeling that might have merit in their own right — and I worry how this might affect decisions around arts funding. Re consumer research: yes, that’s true. I agree – research findings should be one of a number of inputs into the decision-making process (not the only one or a surrogate for taking the decision itself). Did Fisher discuss the way some corporations/systems try to ‘retro-fit’ a product/policy they’re already developed by searching for a ‘need’ or problem that might not even exist? This might be more of an issue in the corporate world, especially in industries where the lead time from development to market is pretty lengthy. By the time the product comes to market, the market’s moved on, and the original need already catered for. Hence the search for new needs or applications that may not exist. “Legislators took action with an urgency they’ve never shown in the face of humanitarian crises…” This is a very astute observation, Max. It seems that we’re reaching a tipping point (if we haven’t already). When I think of US debt levels, and consumer debt levels in general, it seems insane to encourage even more. I agree with you that there are no right or wrong directions, but our current path doesn’t allow any elbow room for balance or equality. The disparity gap is widening. While on a flight recently, I ended up discussing with a fellow passenger the housing issues in Vancouver, where the average Cdn is priced out of home ownership completely… potentially a symptom of unrestrained capitalism. I don’t know where I’m going with this, but I do know that a solution requires some “messy” considerations. All I can say is oi vey. Thanks. That hadn’t occurred to me until I began writing the piece, but it’s true. A bank failure could of course have devastating effects, particularly if systemic contagion occurs, but a drought and collapse in crops in say Bangladesh could also have devastating effects, would do, but there’s no similar response. Of course, the bank crisis affects us directly, a crop failure across the world probably doesn’t. It does seem to me madness to put in place policies essentially designed to get us back to 2006. The alternative though would have to be rises in real wages, and that’s not necessarily easy to achieve without wider systemic changes, likely increases in workers’ rights and bargaining power, and an acceptance of loss of competitive edge against other nations which is a big ask. Property has got very odd. There’s an awful lot of people priced out of buying in their own cities, which does seem questionable in terms of its sustainability and in any event its long term social effects. So much to say on this one. Sounds like it’s a heavy hitter Max. Capitalism eats itself. Years ago it was very easy for me to buy items made in America and ship them to family in England for Xmas. Now I ask myself why I am buying stuff made in China and shipping it. Where are the manufacturing jobs for workers? I don’t know how far this will go. And no I don’t think it’s sustainable without cannibalism, and by that I mean the necessary constant expansion. Capitalism eats itself, but won’t it have to end at some point? Many first time buyers priced out of the market here AGAIN in this mini boom we are seeing. Yes, very well put. I won’t even pretend to have much education in this area but I entirely get that if you go too far in either direction, the questioning stops and the abuse begins. People believe in solutions and they want them to be simple. They rarely are. It doesn’t help that we have a constant campaign mentality from our politicians where their wares are presented as simple. Compromise doesn’t sell. Re: The recession: I lost the best job I’ve ever had just as the recession broke. I was a manager for a Borders books store here in the Welsh valleys. It was beautiful and big and we had all these amazing school programs and the staff were young and passionate and it was just a joy to go to work. I was heartbroken to be made redundant (under very fishy circumstances btw… the general consensus seems to be that some dodgy back-room dealings were going on with the new owners who engineered a company failure so that some lucrative asset stripping could take place (new owner had his fingers in lots of pies))… I’ve not enjoyed any job I’ve had since. This bit: “The relationship between capitalism and eco-disaster is neither coincidental nor accidental” reminds me of Naomi Klien’s book of a few years ago, “The Shock Doctrine”, in which she argues that corporate interests take advantage of disasters (economic, natural, political (coups) etc.) in order to get neo-liberal free market reforms into law through the back door, as it were. This is the so-called Chicago School of free market revolution, where a disaster happens and the neo-liberal narrative argues that the only way to solve the problem is via free market reform (more privatization, lower taxes, cuts to social spending etc.). So the population’s “shock” is used to pass legislation that would otherwise be hugely unpopular. You know, there’s always a swing to the right (socially and economically) at times of crisis yadda yadda yadda. I also like your bit about the neoliberal’s disdain for any narrative that doesn’t fit its own (Self-serving) world view “It has to be like this because the alternatives are worse”-type lies. Great review. Your blog is just amazing. In awe. I think that capitalism should be tempered by regulations. We have too much of them in France for sure, but sometimes they get handy. For example, rules for granting a credit are strictly applied and it’s hard to buy a house beyond your means because you won’t find a bank to lend you the money. In Europe, for me there’s clearly a difference between the Anglo-Saxon northern countries (UK, Netherlands, Germany) and the South and France is in between. I work with Europeans from several countries and it’s difficult to explain French business rules sometimes. For example, they were amazed to discover that it’s forbidden to sell something against a loss, which seems pretty good business management to me or that a change in the law could impose shorter payment terms than the ones agreed upon in a contract that was signed before the law was passed. They think we’re crazy; I think it’s protecting small businesses from sharks. All this to say that yes, I think that alternatives exist and as you said before, that the choice is not between capitalism and another totally different system but between wild capitalism and reasoned capitalism. And this alternative is in the hands of our politicians who are too coward or too intertwined with businessmen to seize it. Great stuff Max. The caveat is always thrown out “oh but you don’t have any credible / comprehensive alternatives!” – but I think that the value of books like this (and eg Lanchester’s writing) is in getting people to face up to the insane situations that pertain in so many aspects of capitalist life. It’s only when some kind of consensus on that insanity – and hence the need to change – is achieved that considering alternatives becomes a fruitful (or even possible) avenue of thought. Another tangent, on the “managerialisation” of politics. The truth of this is that, now that we have a coterie of “professional” politicians, who have worked since (usually) college to forge careers within parties, get elected, secure advancement etc., the political world is filled with people spectacularly lacking the skills or experience to provide any kind of real management of the vast, complex organisations (health services etc.) and systems they supposedly lead. Of course, once that’s the case, it becomes logically self-fulfilling to position yourself to privitise / outsource / abandon the services a government may (or should) provide for its citizens: “They’re the experts! We’re just politicians! It needs to be run like a business!” etc. – the “intertwining” Emma refers to. I’m in favour of more resource reallocation. Poorer people, and we’re mostly poor compared to the ultra-rich, tend to spend their money rather than hoarde it. And it’s the movement of money that keeps economies afloat. Another thing that isn’t working is this blog’s RSS feed. Apologies all for the appallingly slow replies. Guy, it is a heavy hitter, but in a short package which is always welcome. It’s punchy. Manufacturing seems especially hard hit in our system, with our cost of living base there’s simply no way we can compete on costs alone. That leads in part a choice of who benefits. If you protect domestic manufacturing and wages you are arguably baking in inefficiency (in fact I don’t really think it’s that arguable), but that may still be a choice one wants to make if the alternative is a loss of jobs or capacity or immiseration of much of your population. Part of the issue is that what ultimately is a political choice, do we prioritise efficiency or other values, is seen as a default choice. It’s not though,we could pursue protectionist policies if we wished for example, that would have other adverse consequences obviously but again the point is it’s a political choice. Similarly we could mandate higher wages but accept that this could lead to higher unemployment in consequence (though that link’s not as clear cut as sometimes painted). The issue being addressed here is the mantra that there is no alternative, there are alternatives though none of course without their own raft of problems. It does have to end at some point, but then all societies end at some point. In the long run we’re all dead. sendra, just so. We have to live in compromise. Purity is all very well in theory, but in practice the results are always rather horrible. Agreed on the campaign mentality issue. Tomcat, thanks. Sorry about the job. I think in the long run the chain bookstores are doomed anyway, but that’s a debate for another day and besides, they’re not all gone yet so you could potentially have stayed a fair bit longer if they hadn’t gone under. I’m not a huge fan of Naomi Klein, who I think has a talent for self-promotion that perhaps sometimes exceeds her actual contribution and who sometimes seems to tend a bit too much to the conspiracy school of thought for my tastes, but there’s no doubt that this is part of the same conversation she was helping advance in that book and the ideas in the Shock Doctrine are directly relevant. I’m reminded too of Richard Morgan’s Market Forces (https://pechorinsjournal.wordpress.com/2010/07/13/richard-morgan-market-forces/), which is a fictional take on the same issues in part. Laissez-faire to me has slightly different implications. More 19th Century capitalist free trade philosophy, then again perhaps you have a point on reflection because the idea that we might have some kind of moral imperative to invade other countries in ways that ultimately tend rebound to our own profit is rather 19th Century in itself. Emma, I agree actually. It’s a question of balance, which is where I think healthy political competition helps. Too many regulations and the public can swing a bit to the right in response, too few and to the left, and so while things are never quite right at the same time hopefully they’re prevented from going too far wrong. I agree with your distinction regarding Northern Europe and Southern/France. Again it’s about political choice. Emphasising protecting the little guy over freedom of contract is a political choice, one that can be made or rejected. The issue here as I was just saying to Guy is the suggestion on the neoliberal front that it’s not a choice, that the rational answer is unfettered freedom to contract – but that means prioritising large international capital over small domestic capital which may or may not be the right thing to do but again it’s a choice from a menu of options. We do have a fairly uninspired collection of politicians, though I tend to think that’s a wider systemic fault than an individual one. Leroy, definitely, and the point in part is whether what we’re doing now is actually credible. After all, we had a terrible crash, it didn’t work, we have no reason to believe doing the same won’t produce the same outcome. I think the point on lifer politicians is a good one, crucial even. It’s not that you must have been a doctor to head the NHS (though not believing in homeopathy might be a start), or in the military to head the MoD, but some real world experience must help. As you say, it leads to outsourcing to the experts, but if you outsource all your expertise how do you then judge whether you’re getting value back or not? Have you ultimately outsourced your own responsibility as an elected representative? Actually, answering that is perilously close to my real life job since I do in part draft and negotiate PFI and outsourcing contracts. I was talking there more at the societal/political level though. In an individual contract you can draft oversight mechanisms and incentives (though there needs to be someone buyer-side able to operate them), the question is can you do it at the societal or political level while still leaving ultimate control with voters? Also, because some services are suitable for outsourcing doesn’t mean they all are, and again you’re making a political choice (for example choosing to have reduced future flexibility in what services are provided in return for certainty as to future performance levels). Steve, it’s one of the issues with tax cuts at the top end. I’ve no problem with them, not least as I tend to benefit, but they do very little in terms of increased spending. More cash at the bottom gets spent, more cash higher up may simply be invested, or may be spent outside the UK. As you say, it’s about the movement of money, and at the bottom end that’s mostly the movement of credit which is problematic. I sadly have no idea how to fix those RSS links. WordPress puts them in there automatically and I can’t find anything online on how to fix them. Thanks for letting me know though. Read this book back in 2011 and pretty much agreed with many of its conclusions. Nice book. I can say short and sweet. But yes, with a punch. 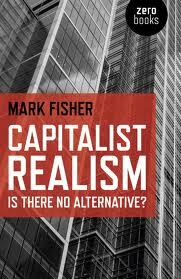 The politics of administration that Fisher describes is not all that pronounced here int he Philippines though where the intertwining of semi-feudal relations with global capitalism placed landed political dynasties beholden to foreign big business on top. Kudos! Great review. An aside regarding the broken rss feed — it is actually to do with your input, it’s breaking because of the curly-quotes and long-dashes in the title “Connant nodded etc.”; those characters are out-of-gamut for rss. If you edit the title to use ” and — instead it should work properly. Hey Karlo, glad we’re broadly in agreement and thanks. I think there’s real problems extrapolating the Western experience outside the traditional Western nations, as one starts to hit different histories, cultural traditions and so on. I’ve been reading some Pankaj Mishra recently and he argues that there’s a real issue with imposing essentially European-tradition narratives on post-colonial nations, which I think is right – it creates a risk of oversimplification and then surprise when countries don’t follow a European historical model which wasn’t inevitable for Europe let alone anyone else. Jim F, thanks! Interestingly the titles aren’t the same as the stubs. I use punctuation in the titles, but the stubs are generally punctuation free. DOes RSS pick up the title then rather than the stub? I like punctuation in titles, I’d hate to lose that. Ah, just opened the browser with this set of feeds for the first time in a week and everything’s in order, even with punctuation! Glad to see whatever you tweaked worked. I didn’t tweak anything, I couldn’t work out how to. It must have been some behind the scenes bug fixing.